Fruits are healthy foods that are good to support the health of body. Even, including fruits in a daily diet can reduce the risk of dangerous diseases such as heart disease, cancer, diabetes, according to the US Department of Agriculture. Adults usually need 2 cups of fruit each day and one of the most useful is Navel Orange. The fruit is low in calories and rich in fiber, vitamin C and potassium. In this short article we will look at the calories in a navel orange, as well as other nutrients such as carbohydrates, vitamin C, fat and protein. As fruits come from nature, it is difficult for us to determine the exact number of calories. But we can specify it in general with the size of a certain orange. Based on data from the USDA, Navel orange with a diameter of 2 7/8 inch contains calories as much as 69 calories. This amount is only roughly, because each fruit certainly has different levels of substances in it. Rough count is every 2 7/8 inch navel orange contains 17.5 grams of carbohydrates and 3 grams of fiber and contains less than 1 gram of fat. This carbohydrate will fuel the cells in the body, it will turn into glucose during digestion. USDA recommends that the calories derived from carbohydrates have to reach 45 to 65%. 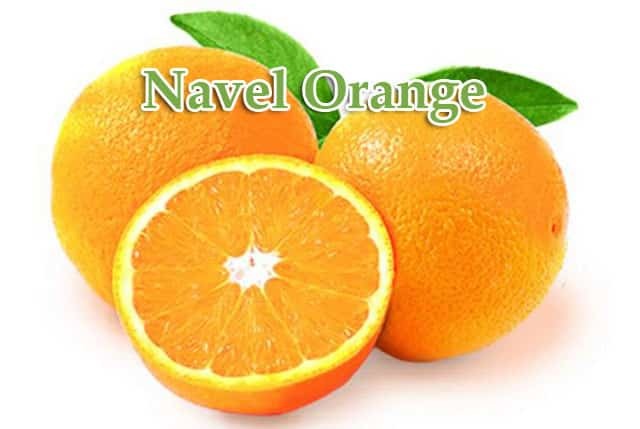 In addition, navel orange also contains a good amount of fiber for health. Fiber is a carbohydrate that serves to reduce the risk of constipation, decreased cholesterol, prevent hunger and improve blood sugar levels for diabetics. Fiber fiber for adults is: Healthy women need 21-25 grams of fiber per day. While men need more, this is 30-38 grams per day. In a navel orange containing 82 mg of vitamin C, this amount is almost sufficient for the daily needs of adults, because they require 90 mg per day. While adult women only need 75mg / day. The benefits and efficacy of vitamin C is for the synthesis of collagen in the skin, tendons, ligaments and for the arrangement of proteins. The presence of vitamin C also acts as an antioxidant that has an extraordinary role. It is able to prevent cancer, heart disease, and protect the skin from the effects of free radicals. In addition to vitamin C, navel orange also contains vitamin A which is useful for normal growth, improve body immunity and maintain eye health. Navel orange contains vitamin A and beta-carotene. Beta carotene is also a vitamin A which acts as an antioxidant to prevent and fight free radical. A Men need 3000 IU of vitamin A / day, while adult women need 2310 IU / day. While the amount of vitamin A in one navel orange is 346 IU. Potassium is a compound that is important for the health of blood and gives good effect to heart. Adults should consume 4700 mg of potassium a day in order to keep their blood pressure stay normal. In one navel orange contains 232 mg of potassium. But not everyone has to supply high potassium, as some people with certain conditions such as kidney disease, they should limit potassium intake. That’s a brief explanation of the calories content in a navel orange, the amount of carbohydrates, vitamin C, vitamin A, potassium and fat. Hopefully useful and become additional knowledge.